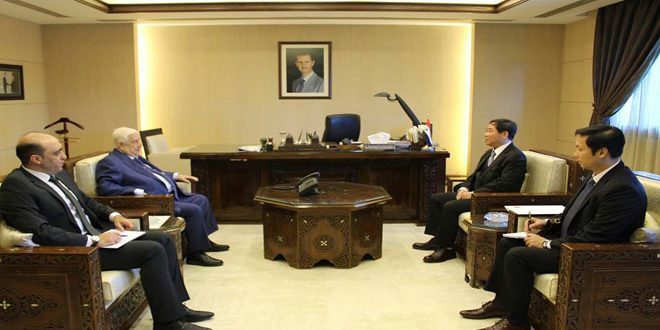 Damascus, SANA- President Bashar al-Assad received on Sunday Chinese Assistant Minister of Foreign Affairs Chen Xiaodong and the accompanying delegation. 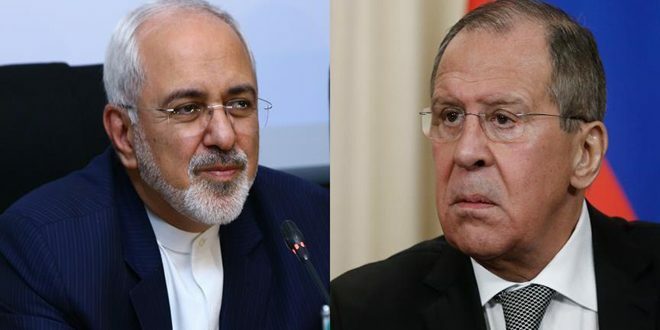 During the meeting, the two sides affirmed the deep-rooted historical relations between Syria and China, and the need to bolster coordination and cooperation between the two countries on political, military, economic, cultural, and technological levels. President al-Assad said the war on Syria has started to take a new form based on sieges and economic war, pointing out that the tools of the international politics have changed today, and the differences that had previously been resolved through dialogue are now being addressed in a different method based on boycotts, withdrawal of ambassadors, economic siege, and the use of terrorism. 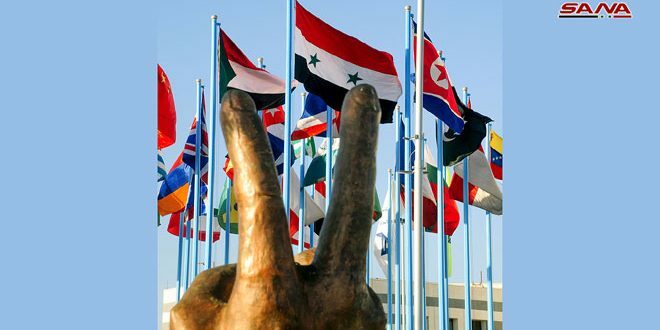 He stressed that the war on terrorism in Syria is a part of a broad war on the international arena, and that terrorism cannot be confined in a specific geographical area, adding that distances, no matter how long, do not stand in the way of the spread of extremist ideology. His Excellency affirmed that combating terrorism is not only carried out via military action; what is more important is to combat it intellectually and ideologically. 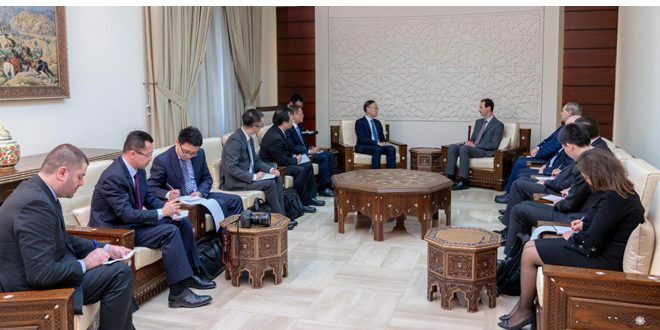 For his part, Chen said that China has a strategic long-term view regarding relations with Syria, stressing that thanks to the steadfastness of the Syrian leadership and people, the situation on the ground has started to improve. Chen voiced his country’s readiness to keep standing by Syria and providing it with all forms of support. 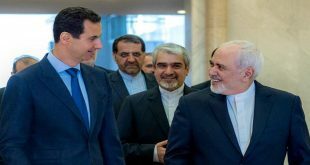 President al-Assad stressed that combating terrorism will lead to a political solution in the end, and that any talk of political solutions while terrorism spreads is an illusion and a deception. In the same context, Deputy Prime Minister, Foreign and Expatriates Minister Walid al-Moallem met the Chinese Assistant Minister and the accompanying delegation . 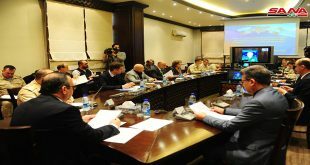 Al-Moallem said that Syria welcomes China to participate in the process of rebuilding what has been destroyed by the terrorist war on Syria, asserting that Syria is committed to providing facilitations to Chinese companies in this regard. 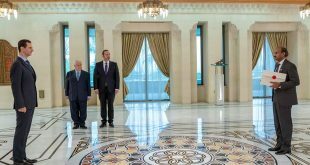 Al-Moallem hailed the political support and the humanitarian aid which China has been providing to Syria to this day, as they contributed to strengthening the steadfastness of the Syrian people over the past years. 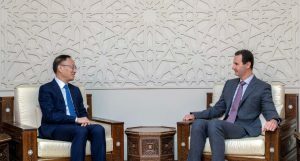 For his part, Chen asserted his country’s willingness to develop bilateral relations with Syria on all levels, including the economic level, indicating that China will participate actively in the reconstruction process, and it will continue to provide humanitarian aid to bolster the Syrian people’s steadfastness.